Torn from the universe by an insatiable cosmic vortex, Earth is trapped in the grotesque parody of reality called the Maelstrom -- along with thousands of other planets, millions of species, billions of warring creatures...all swirling toward ultimate destruction. It materializes off the Oregon coast in a burst of devastation and tsunamis: an island containing an alien city ... and perhaps the way for Earth to escape the Maelstrom. 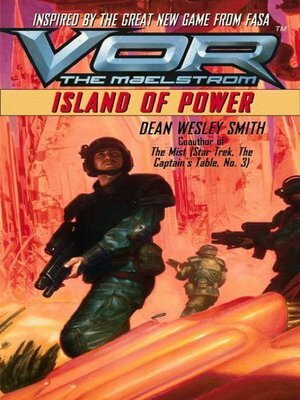 But the Union soldiers and civilian scientists sent to the strange ruins aren't the only ones who want the island's power. For the humans are soon confronted by unearthly monsters -- the walking-dead Pharons and morphing Sand. And these horrors intend to claim victims on their unholy journey through the Maelstrom, even as the entire island itself begins to disappear.